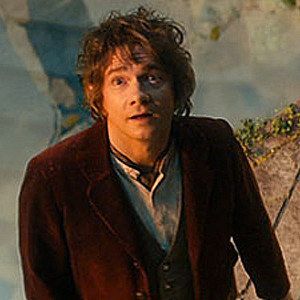 The Hobbit: An Unexpected Journey Second Trailer First Look Photo! Director Peter Jackson and Warner Bros. are set to launch the new trailer for The Hobbit: An Unexpected Journey tomorrow, Wednesday, September 19th at 7 am (10 am EST), exclusively on iTunes. We'll have the trailer for you here to watch in all its glory, but first, we have a new photo from the trailer featuring Martin Freeman as Bilbo Baggins. Check it out, then be sure to check back tomorrow as J.R.R. Tolkien Week continues!